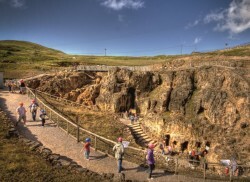 Walk through the tunnels of this Bronze Age mine. The highlight of the tour is the amazing Bronze Age Cavern, dug out over 3,500 years ago. There is an archaeological site on the surface and a visitor centre.